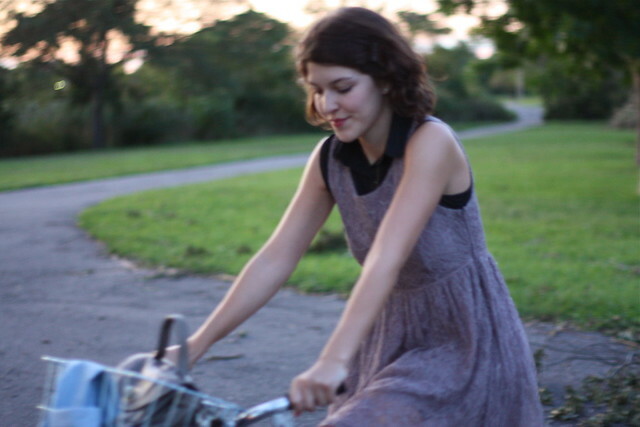 pretty pretty dress, keep enjoying summertime as long as you can! What lovely photos!!! I like your dress so much. It's been really nice the past few days regarding weather right? So lovely. P.S. I got eaten a bunch by mosquitoes because of the floods! It made me think of you. Ooh, I like the idea of layering a lace dress! This is very cute. It seems like summer doesn't really get started in Southern California until mid-July, and it usually stays hot until Halloween, so I will still be in summer mode for quite a while too. Make the most of the weather it will be gone before you know it. I love that dress! You look so pretty! Oh I so badly want this dress, have had my eye on it forever! I love how you jazzed up the dress with the polo! I've always thought lavender looks so lovely against brown hair. 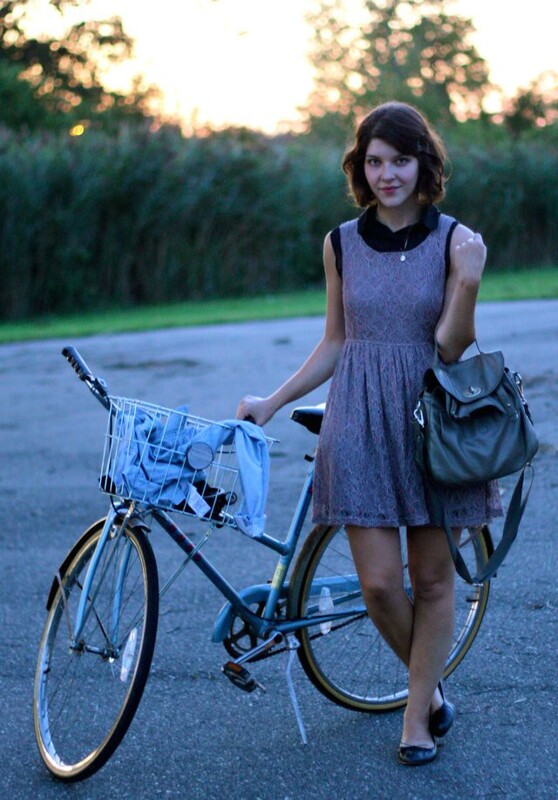 dress and bike are just too gorgeous! i really love visiting your blog cause you always have beautiful photos. it's summer all year-round in my place since we're a tropical country. Oh how adorable sounds like pretty fun things still in waiting. And your layering of summer clothes are so adorable. For me, summer is over as I a back in school (2 more years!) and it is cold, but they promised alot more heat next week. So cute! I'm back in school, but I love the idea of summer not being such a big deal - no sense of ending, just warm weather and BBQs! What a pretty time of day! 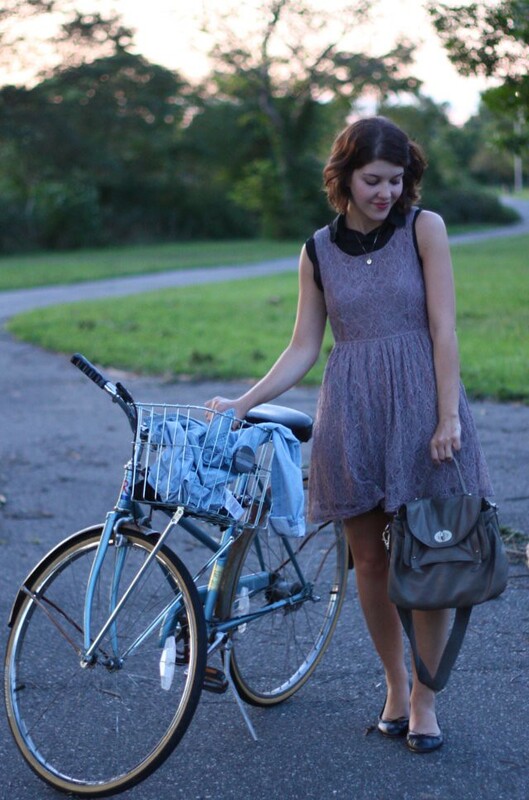 I love your dress and bicycle! That dress is adorable. I love the top you layered underneath it too. Pretty lighting in these pictures as well!